Custom hardwood floors, unfinished or prefinished, as well as stair parts, baseboard, and architectural timbers made in the USA and available mill-direct from Connecticut's largest sawmill, serving clients across the United States. Our long and wide plank floors are custom milled from sustainably harvested native hardwoods and pine. We offer many styles, including quarter / rift sawn, flat sawn, and live sawn wood floors. Our floors come with a lifetime quality guarantee. We offer job site delivery throughout the Northeast & we ship our floors nationwide. We are happy to send you samples. A family business since 1965, we utilize locally grown & sustainably harvested wood. We also provide woodland management services to landowners, helping them grow beauty & value in their forests. Order our products by phone or online, or visit the flooring showroom at our sawmill in Pomfret, CT.
We at Faucher Floors create and distribute beautiful and enduring hardwood flooring. Every one of our products is manufactured with mastery in design and expertise in construction. We understand your desire for having beautiful floors and your need for quality products that will last. So we deliver just that: stunning flooring to take pride in! Based out of Cumberland, we began as a small, family-owned business in 1929 and we’ve successfully grown by maintaining a consistent mindset with a commitment to excellence in everything we do. And we continue to grow because of our innovative manufacturing methods and understanding of the market. We are steeped in tradition and history, building on what works while not being afraid to create what we’ve never seen before. Family owned and operated by Bruce and Brian Donahue, Christian Brothers Hardwood Floors is a third generation full service hardwood floor specialist. You can trust Christian Brothers Hardwood Floors to install your new floor or refinish an existing hardwood floor in your home, because we have the unparalleled professional experience that comes from having done over 3000 individual hardwood floor jobs over the course of 30 years while in business serving Rhode Island, nearby MA and CT. Bruce, having learned the trade from his father-in-law, began his own company in 1978 with the belief that your hardwood floors should be one of the focal points in your home. In those early days operating out of just his home Bruce built the outstanding reputation Christian Brothers Hardwood Floors enjoys today. Founded on the principle that doing the best possible job was the only way to grow a new business, Christian Brothers has been growing ever since! Although we no longer work out of a home we have never lost sight of the same guiding principle that has kept us growing and evolving for 30 years. The business became a true family passion when Brian came on-board to continue the tradition of hardwood floor installation and refinishing excellence that started with his Grandfather. 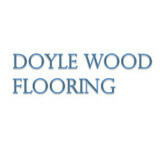 Doyle Wood Flooring has been servicing customers since 1963. We focus on quality workmanship and customer service at all of our jobs, both private and commercial. We offer Dustless and Dust Free floor sanding, Installation of refinished flooring, “The Classic installation” (on site Install sand and finish wood floors) and much more. Doyle Wood Flooring specializes in quality workmanship and sales of first quality lumber from leading manufacturers. We offer quality hardwood flooring from the best manufactures such as Mirage, Bruce, Tarkett, BR-111, Columbia, Somerset, Mullican, Hawa Bamboo, Anderson and more. We install, purchase, and deliver flooring every day. We don’t just sell it; we use it, nail it, cut it, refinish it, glue it, click it and float it every day. Whether you’re looking to hire us for a job or purchase flooring for a Do – It – Yourself project, install a new floor, remodel your home or seek flooring consultation, Doyle Wood Flooring can meet your needs. Private Home Owners, Do-It-Yourselfers, Builders and Contractors are always welcome at Doyle Wood Flooring. Our local contractors and private homeowners have the opportunity to visit our showroom in Halifax, Massachusetts. Hi. My name is Jorge and I am the sole owner and operator of Rende Hardwood Flooring. My career in the wood flooring industry starting in the early 90’s in Westwood, MA. As a kid I would join my father on weekends and summer vacations to job sites all over Massachusetts and Rhode Island. After High School I immediately joined the same wood flooring company my father worked for and worked by his side for 5 years before I decided to open up shop in Rhode Island in December of 2006. Throughout my long career I have resurfaced and installed countless wood floors all along Rhode Island and Massachusetts gaining priceless knowledge and hands on experience that I use on a daily basis. Things got very interesting once I joined the NWFA (National Wood Flooring Association.) Since joining the NWFA I have been able to evolve from a floor sander and installer to an artisan by training with the world’s elite wood flooring craftsmen. My portfolio caught the attention of Lagler – the manufacturers of the sanding equipment we use on a daily basis and I was chosen to attend advanced technical training at their headquarters in Germany in July of 2016. When I am not working on floors I enjoy relaxing at my home in Providence, RI. I am engaged and own two rescues, a senior Bulldog named Grammy and a retired racing greyhound called Ricky. On my free time I train Brazilian Jiu-Jitsu and fish from my kayak all along the Narragansett Bay. As we approach our 10 year anniversary this December 2016, it enlightens me to think about our future and what the next 10 years has in store. Rawlings sells and installs all types of flooring. Over 50 years serving Rhode Island, Massachusetts,and Connecticut. Carpet, Tile, Hardwood, Laminate, Cork, Area Rugs and Vinyl. A full service Hardwood Flooring Installation and refinishing company. Southampton Floors Inc. is a full-service Wood flooring company. Over 30 years experience in The Hamptons. From supply and installation of natural hardwood flooring or manufactured, prefinished flooring to custom finishes and refinishing, we handle jobs of all sizes and complexity. Flooring is one of the last items installed on a project, yet makes a huge first impression. Whether new construction, a renovation or change in decor, your flooring makes an important visual and sensory impact. Call us about customizing your next wood floor project. We will gladly discuss our competitively priced custom finishes that will give your design project that one of a kind look. Whether it's getting your existing floors refinished, installing new floors, or repairing damaged flooring, you've come to the right place. Deschene Hardwood Flooring has been in the business since 1995, so we really mean it when we say we're here to help you. At Deschene Hardwood Flooring, we put our customers first. From the simple to the lavish, we've experienced it all and we can help you every step of the way. No job is too small or too big for our knowledgeable crew. We've happily done it all for 21 years now! All-Wood Flooring, LLC is a family owned and operated Home Improvement Company started over 25 years ago. Prior to that, the founder of the Company, Michael Grimaldi owned and operated a Home Construction Company called "AppleTree Construction" and a specialized flooring Company called New England Peg and Plank Flooring. As a Child at age 9, his son, Kristian Grimaldi showed a strong desire and interest to follow in his fathers footsteps and started to accompany his father on job sites watching, participating and learning the master carpentry skills of his father. All through his highschool and college years Kristian supervised and did many of the flooring and stair jobs that were contracted, all demonstrating unprecedented quality. In addition, Kristian was taught wood turning from the CT Wood Turners Guild's Master Turners such as the late Gilbert Hite. These skills were in turn learned by his father. Together Kristian and Michael have installed, and refinished over 3,000 beautiful hardwood floors and over 900 custom stairs along with many other projects such as additions, post and beam structures, custom cabinetry, hundreds of tile floors, eight complete custom homes as well as highly sought after and collectible signed and numbered exotic jewelry boxes and wooden bowls and vases. In addition Michael Grimaldi is a gem and stone cutter and a gold and silversmith. He has incorporated both in his woodworking craft and his other related artwork. Both Kristan and Michael have worked for people of all walks of life from Moms and Dads to Doctors , lawyers and judges to famous actors and actress and rockstars. Yet their prices never change no matter who they work for. They are fair and equal to all and always strive to give their best. Their pride is what fuels their energy each day and their true payment and reward in the end! What better way to show a persons true character said for what his mind eye sees and what becomes from his hands and heart! His creativity! They are also NOFMA members. Michael Grimaldi has also articles written about his flooring skills and expertise in Architectural Digest. Many other flooring establishments located in and around Connecticut learned the craft from Michael Grimaldi through apprentice programs he developed and taught. Overall 15 companies sprang out from individuals who worked for All-Wood Flooring over the years! Custom flooring for the residential /commercial as well as hospitality .We provide our clients with the products that work for their lifestyle and application. Mowry Hardwood Floors was started in 1985 by owner Mark Mowry. He did work for homeowners and builders in the Blackstone Valley Massachusetts area. Making a name for himself and being recognized in his trade for his professionalism and quality work he was able to expand his service area out toward MetroWest Massachustts. 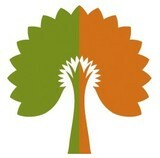 Mowry Hardwood Floors is locally owned and operated by Mark Mowry. Mark has over 30 years experience in the industry. We provide professional and courteous service, competitive pricing, and quality workmanship. Customer satisfaction is our goal. We look forward to the opportunity to service your flooring needs. Being certified as a craftsman and master craftsman by the National Wood Flooring Association Mark hung up his tool belt for a desk. He became co-owner and manager of a hardwood flooring store in Central Massachusetts, quickly building it up and bringing in revenues exceeding $2 million dollars annually. As many have faltered due to the recent economic downtown, Mark has picked up the tool belt again. He continues to run a successful small business in Central and Southern Massachusetts and Northeastern Connecticut. Mowry Hardwood Floors offers experience and quality workmanship for a competitive price. Customer satisfaction is our goal and we look forward to an opportunity to service all of your flooring needs. What kinds of services do hardwood flooring installation professionals in Quonochontaug, RI provide? Find hardwood floor experts in Quonochontaug, RI on Houzz. Search the Professionals section for Quonochontaug, RI hardwood flooring installers and dealers or browse Quonochontaug, RI photos of completed installations and look for the professional’s contact information.